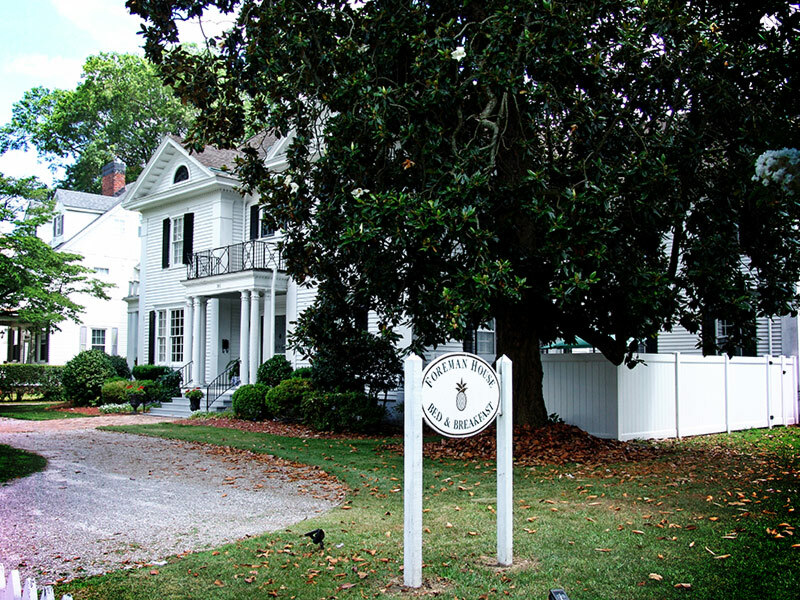 Visit the historic Foreman House, circa 1899, nestled by grand magnolia and dogwood trees. Casual elegance, privacy with English Boxwood gardens make you feel as if you are in a private oasis. A full gourmet breakfast awaits you each morning. The Foreman House Bed and Breakfast is a short walk to the waterfront in beautiful Elizabeth City North Carolina, where visitors will find wonderful restaurants and shops. Your stay will provide you with a peaceful respite from everyday life.